February | 2014 | Mehta Kya Kehta? Pavan Kirpalani’s previous outing Ragini MMS was a triumph of sorts; a found-footage film that did build up decently but didn’t make you defecate in fear, it is still very different from what Hindi horror movies have been. You might have just been glad to watch another scary movie from Bollywood that dared to not have songs, I was overjoyed to see people actually act in it. Even with Ragini MMS 2 being helmed by another director, it’s still a sequel I look forward to, and with Sunny Leone in the lead, we’ll certainly enjoy a few laughs, if not the chills, but that’s a few months from now. Darr @ The Mall veers towards the commercial side of Bollywood horror, with an item number and other songs, and an amateur cast hammy as can be (it’s good when they’re this annoying; you wait for them to be done away with). Jimmy Shergill, a fine actor who deserves better, is helpless in this horror flick the way he was in Bullett Raja (read my review of that unbelievably bad Tigmanshu Dhulia film here), and he looks bored out of his mind while experiencing occurrences spooky enough to unsettle anyone. But get it right: Darr @ The Mall at no point manages to even interest you. Pavan Kirpalani takes a horror cliche we don’t find offensive and attempts to make it abstract. (Dude, we would’ve never guessed the damned mall was built on where an orphanage used to be. It could’ve also been a mental hospital or a cemetery, but we movie watchers are incredibly dumb, right?) Still, the problem remains that Kirpalani sacrifices scares because he’d much rather confuse you into thinking the plot (the story, not where the mall is) is deeper than it is. Despite the many deaths, there isn’t one moment that shakes you out of your boredom. Ask the couples who made-out throughout 2014’s first Bollywood horror film. Who throws a grand bash at an allegedly haunted mall with inadequate security measures? Who attends a party at a mall which is currently all over the news because there have been nine unexplained deaths in it only recently? Along with the apparitions (ghosts of children) is the angry spirit of a nun, and it doesn’t take a genius to figure out the owner of the mall and his crony have perpetrated one of those crimes that unfailingly get every villain in Bollywood the punishment due. Too bad that I expected Kirpalani to repeat his successful act; now all I can do is wait and see if Sunny Leone has gotten any better at emoting with her breasts. It’s been one of those weeks. You know the ones where a second feels like a lifetime, and every hour an eternity? The ones where you check the time every 20 minutes or so, waiting ever so patiently to slink off? You stuff your face with anything and everything, you check emails and chats and wait for people to strike up any interesting conversation? Yet, you remain bored. Bored out of your skull. And just when you’re contemplating the silly travails of life, you find that one stimulant that brings you back in to the real, productive world. And before you know it, you’re jumping up and down like the Energizer bunny. Yes, this happened to me this week. What was that stimulant? Glad you asked. 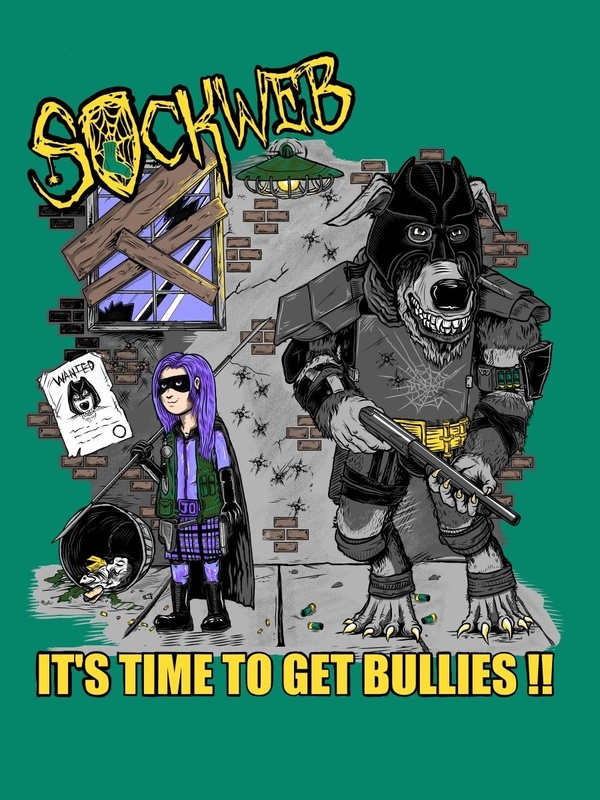 Ladies and gentlemen, meet Sockweb. An American grindcore project that took the Internet by storm last year thanks to some brilliant ditties about pancakes, Scooby-Doo monsters, bullies, and werewolves. Seems a bit juvenile? Well, pop it in, and trust me, you won’t know what came and hit you. One listen to the band’s new four track EP “It’s Time To Get Bullies” will leave you bedazzled, stumped, exhilarated, and happy. With a big stupid smile on your face! 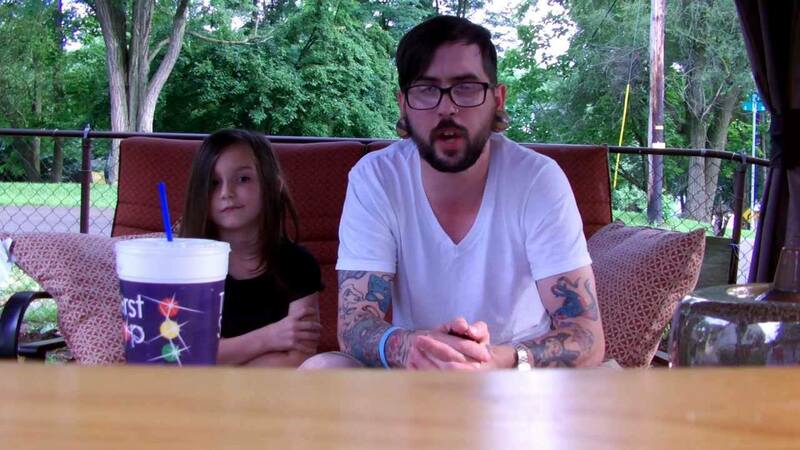 Lead vocalist Joanie ‘Bologna’ Young is just seven, yes, seven years old. She screams, sings, whispers, rants, growls and more throughout the four tracks, channeling her inner Kat Katz (Agarophobic Nosebleed, ex-Salome). It’s achingly cute, sugary sweet adorable, and at the same time, so, so, metal! Joanie’s words are backed and bound together by osmium heavy, yet abrasive guitar work, a bass that booms all around, and absolutely wicked drums. All courtesy guitarist, composer, and well, father Adam ‘Blackula Young’, who also jumps in with growls of his own. You won’t need a lyrics booklet to understand the dialogue here. Instead, you’ll be nodding your head in agreement. Unless, of course, you are headbanging away to glory. Critics will consider the band a gimmick. But the songs are anything but. It’s heart warming and genuine music that you can relate to. Superbly produced by Pig Destroyer mainman Scott Hull, the EP is what good art is. A genuine expression of self that’s easily understood, and appreciated by anyone who consumes it. This is what a quadruple-shot black coffee would be aurally. In one word, awesome.